Get a complete review of your industrial blasting abrasives and operation by request. Benefit from our 100 + years combined of industry experience. Learn how to lower cost per square foot by increasing throughput and reducing blast abrasive Consumption Rate. Watch the Blast Test video below to see the amazing increase in Production Rate resulting from a simple change in equipment settings while using one of our High Performance Copper Slag. 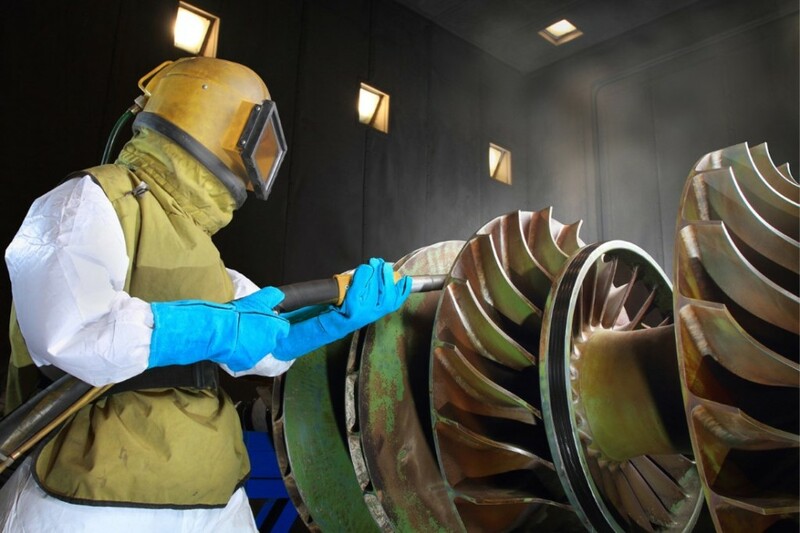 High Performance Abrasives are characterized by Low Dust generation, High Production Rates while reducing overall Consumption Rates – do more work, faster, with less abrasive and with greater visibility. TCR Blast Abrasives sells only High Performance sandblasting Abrasives such as selected Copper Slag and Garnet – no silica sand or coal slags. If you’re not sure about which Media is best for a particular application, give us a call at 314-241-5333. We’ll be happy to discuss specific applications and the best options available. Looking for Other Abrasive Options? We offer Aluminum Oxide Blast Media, Garnet, Crushed Recycled Glass and other High Performance Industrial Blast Abrasives. Depending on the application, one of our products will be the most cost effective for a particular job or project. We also supply Bulk Abrasives for Operations set up for large scale Abrasive Blasting – as well as Blast Media for Cabinets and Abrasive Recycling operations. Did You Know You Can Save Money By Recycling Your Abrasives? We offer Clemco Recycling Equipment which makes abrasive recycling easy and within almost any budget. In addition to Blast Cabinets for smaller parts, Recycling can be divided into 3 Levels of recycling solutions. The most basic level is to remove the larger debris from spent abrasive and reuse. More sophisticated systems will remove both the large debris along with the unwanted fines. Give us a call to discuss the recycling option for you. Need Clemco Blast Equipment or Clemco Parts? TCR Blast Abrasives is an Authorized Dealer of Clemco Industries equipment and Clemco parts. Clemco manufactures premium portable blast machines, dust collectors, automated or manual Blast Cabinets, Recyclers and more. For Clemco repair parts or new Blast Equipment, contact us. TCR Blast Abrasives is now stocking Precision Garnet 80XP (the most popular size) at our warehouses in St Louis, Chicago & Charlotte NC for use in Waterjet Cutting applications. Please give us a call at 314-241-5333 for a sample bag of our Garnet Abrasive for Industrial Waterjet Cutting. Call us today to find out how we can help you select the right media for your needs.